A 2013 graduate of Eastern Mennonite University has been awarded a National Science Foundation Graduate Research Fellowship. For the next three years Ruth Maust ‘13 will continue her doctoral research in Professor Ramesh Jasti’s lab in the University of Oregon’s Department of Chemistry and Biochemistry. As a fellow, she will receive an annual stipend, education allowance for tuition and fees, and opportunities for international research and professional development. Explore EMU’s chemistry major and ASBMB biochemistry accreditation. 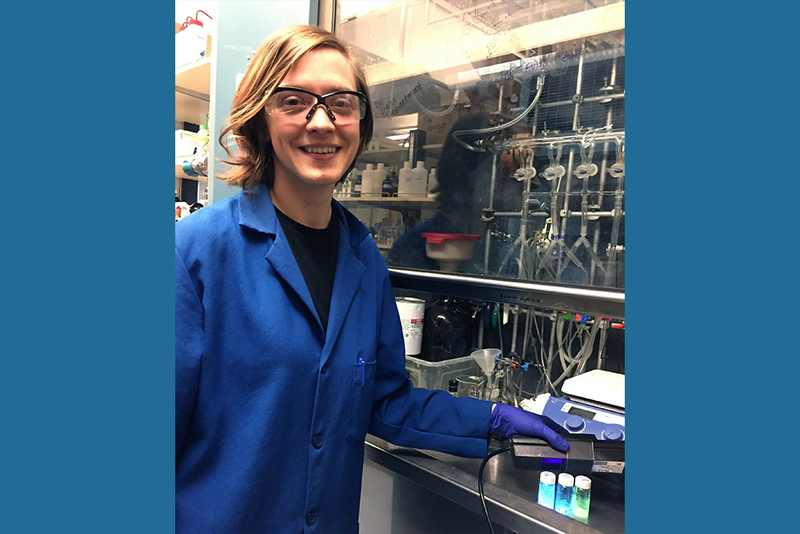 Named an “outstanding chemistry student” her senior year as a chemistry major at EMU – “definitely give a shoutout to Tara Kishbaugh and Matt Siderhurst!” she wrote in a recent email – Maust completed a materials chemistry lab internship at the Graz University of Technology in Austria. After graduating, she worked at the Green Building Alliance for a year through the Pittsburgh Urban Leadership Service Experience (PULSE). So, where are you from? I’m wondering if we are related, distantly or otherwise?? Thanks, Marge! I’m from Indianapolis, parents from Goshen/Elkhart area. Congratulations Ruth! I am looking forward to the contributions that you will make to improve the environment. We need all the help that we can get.